If you are starting your own cleaning business, you will need to know how much to charge for your time and efforts. You can charge an hourly rate or you can charge a certain amount of money per square foot of the property. By keeping your prices competitive, you can expect to get more clients and grow your cleaning business into a full-time job. Ask to view the space to be cleaned. 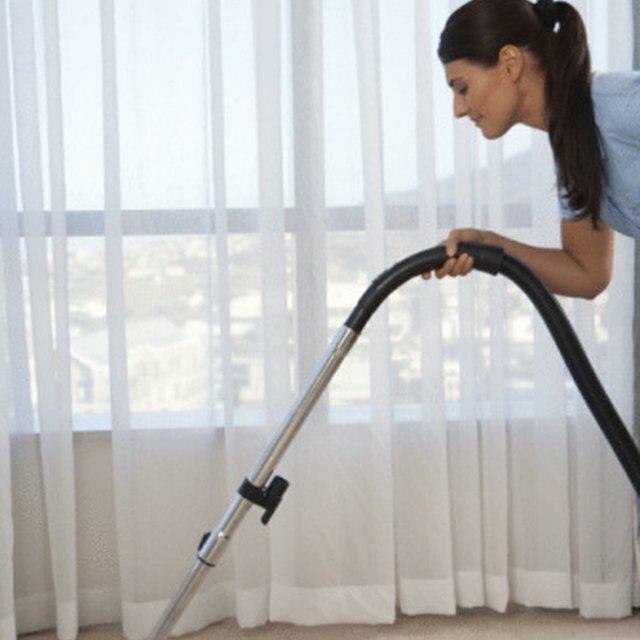 Determine exactly which rooms are to be cleaned and which ones are to be left alone. Calculate the square footage of each room which is to be cleaned. Measure the length and width of each room with a measuring tape and then multiply the length and width to get the area, or square footage, of each room. Add together the square footage for all of the rooms that need to be cleaned. You can then begin to estimate a contract. Determine how much you will charge per square foot. Typically, cleaning businesses charge between 5 cents and 20 cents per square foot, depending on the difficulty of the project. If you will be cleaning lots of small items, such as in a medical office, your estimate should be on the upper end of the range. If you are cleaning spaces which are largely empty, you might want to estimate a price that is towards the low end of the scale. Multiply the price per square foot by the number of square feet of the property. This is the estimate that you should offer to the client. You can also charge clients by the hour. Determine how much money you would like to make per hour and then estimate the number of hours that it will take to do the job.